The marketing push behind the upcoming "Muppet" movie has been churning out some great parody trailers in advance of the movie's fall release. First, they ribbed "The Hangover: Part II's" infamous Wolf Pack and then they took aim at "Green Lantern." But the funny thing is, even if Kermit did take over for Hal Jordan, he wouldn't even be CLOSE to being the strangest member of the Green Lantern Corps. Through the years, the intergalactic peace keeping force has had its fair share of "whowiththewhatnow?" members that would make a felt puppet seem downright logical. Ch'P, as you can see, is a squirrel. He hails from a planet inhabited by a race of intelligent creatures that, unfortunately, all resemble lovable cartoon animals. Ch'P's predecessor, B'rr, was a racoon. And he was murdered. We see your squirrel, and raise you a dog-man. 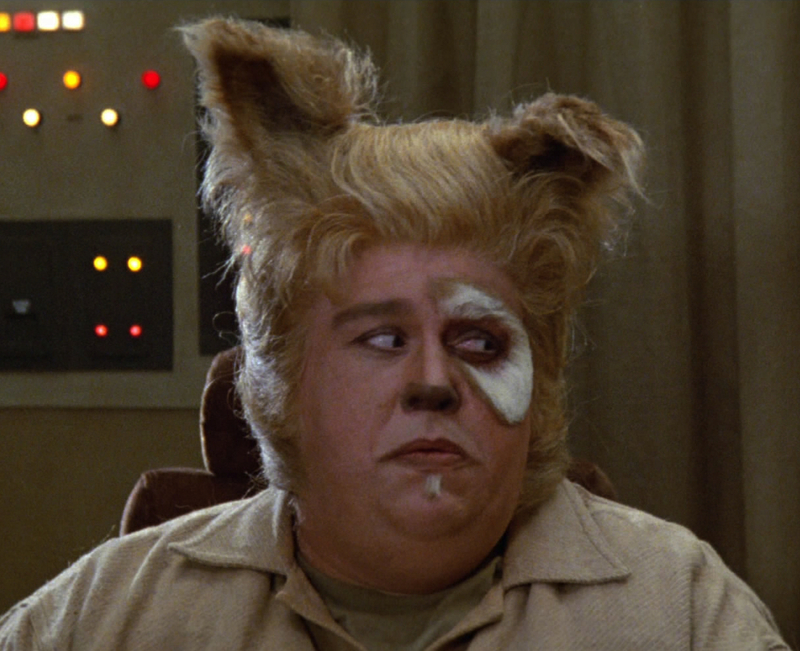 Now, Chewbacca was cool because he kinda, sorta resembled a dog, but G'Nort takes the concept too far. The tail really seals the deal. He goes from potential cool sidekick to John Candy in "Spaceballs." Medphyll is a tree. A sentient tree. Still don't believe us that 75% of Green Lantern's comic book continuity is based on a dare? This Green Lantern member is a PLANET. Not an inhabitant of a planet. An entire planet. How, exactly, is he suppose to make those group meetings on Oa? He could be a cool character, but we keep thinking of Tom Hanks in "Big" when faced with a Transformer knock-off that turns into the Chrysler Building. "What's fun about playing with a building?" Who says Earth's defender has to be a human? In one particularly convoluted storyline, it is revealed that in the year 2029 the defender of our planet is a giant whale. His only weaknesses are obsessed sea captains and wooden Italian puppets. OK, now we think the tree guy is cool. Because a mushroom powered by willpower is just, well...clearly someone had been playing too much Super Mario Bros.
Is he a jellyfish? An IKEA lampshade? A sentient Lady Gaga headdress? No idea. All we do know is that the Lanterns might want to pare down that roster in the future.